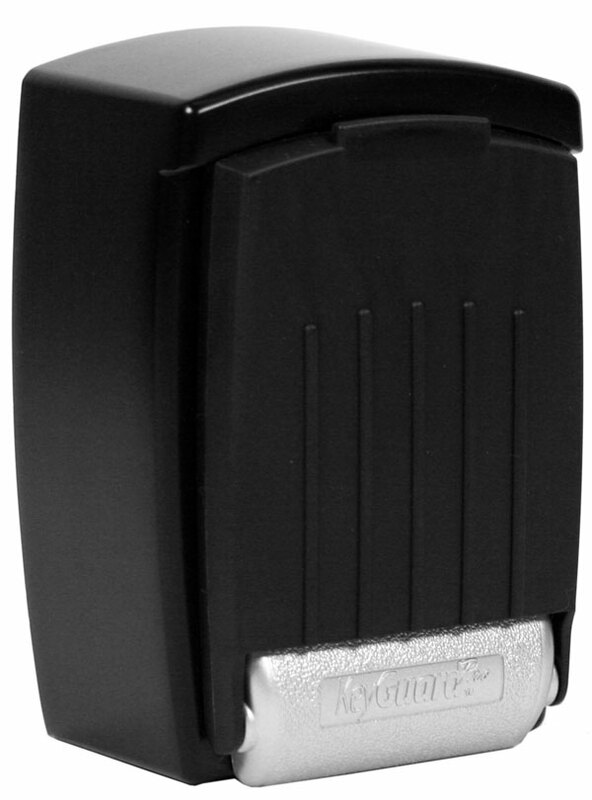 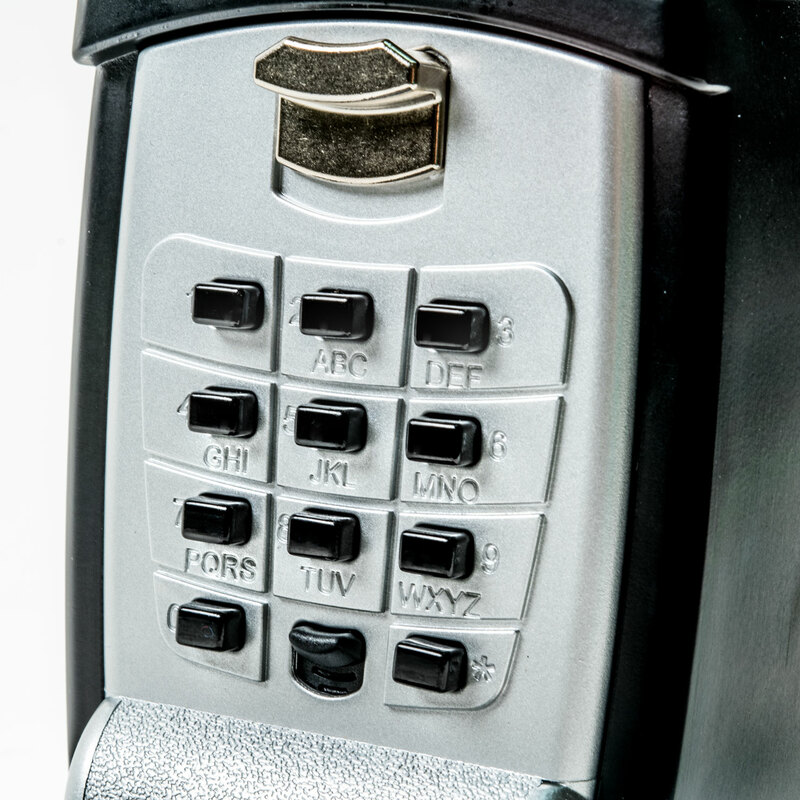 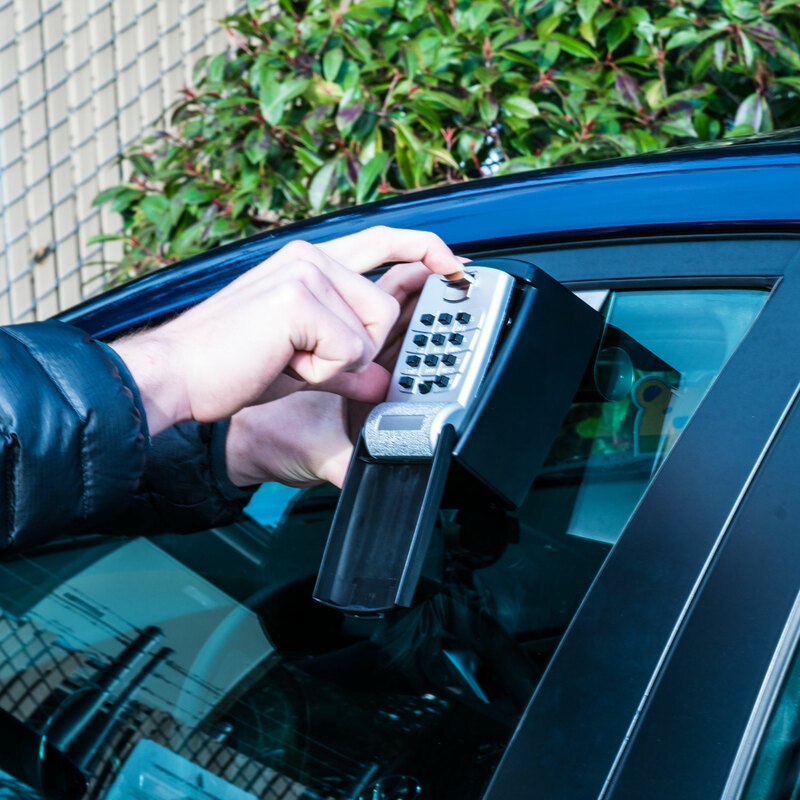 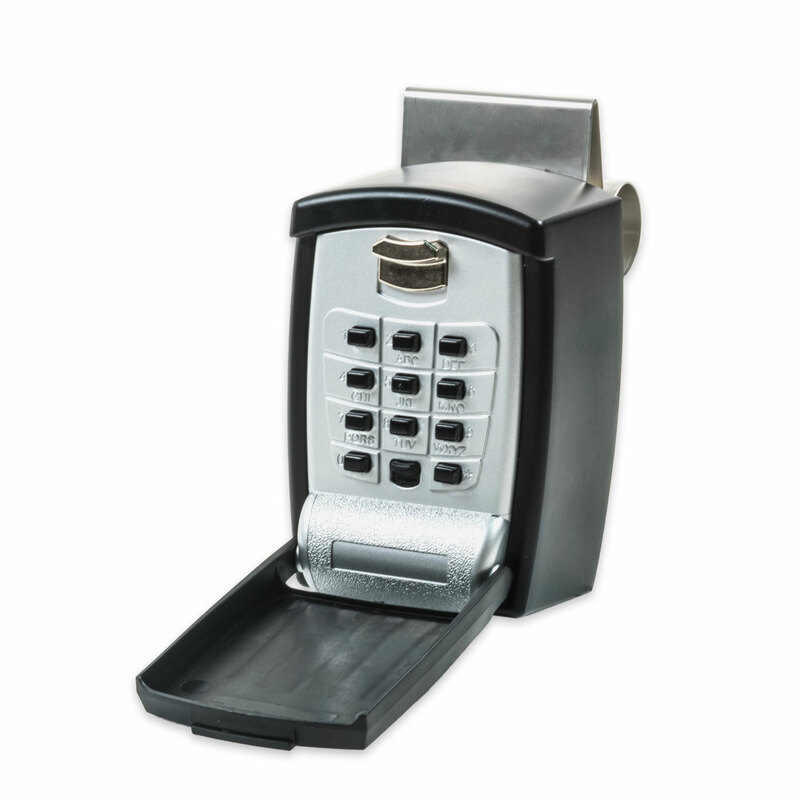 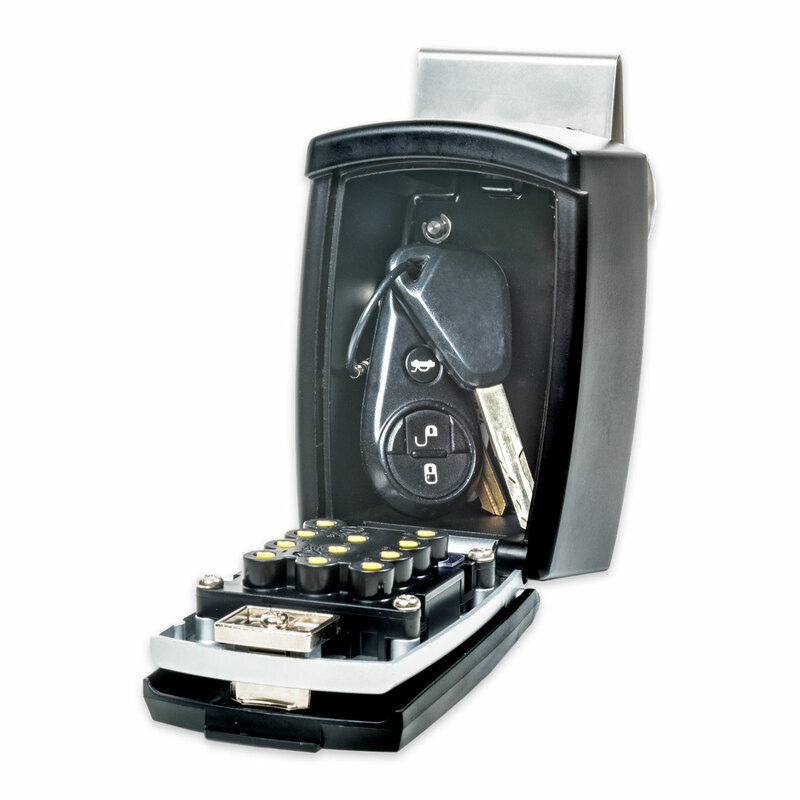 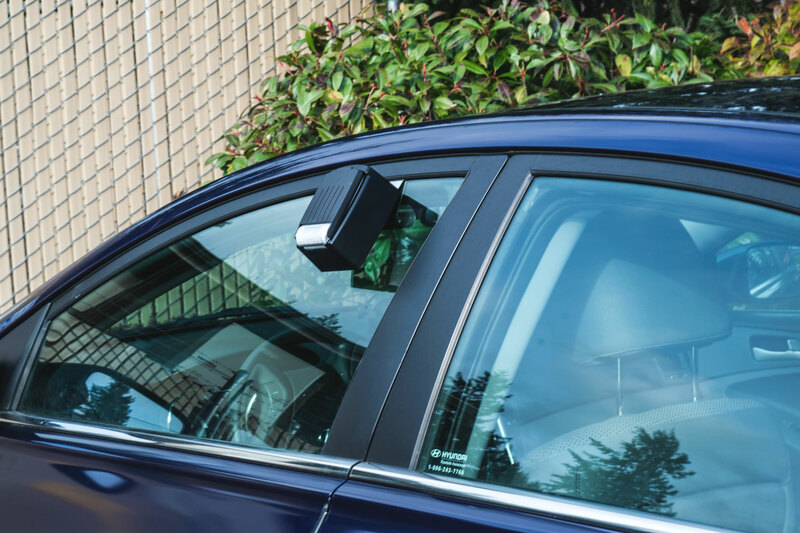 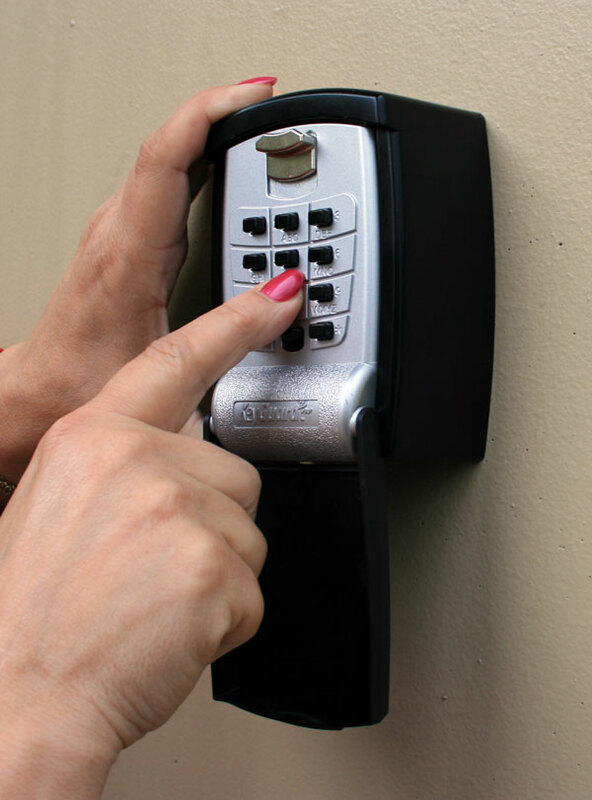 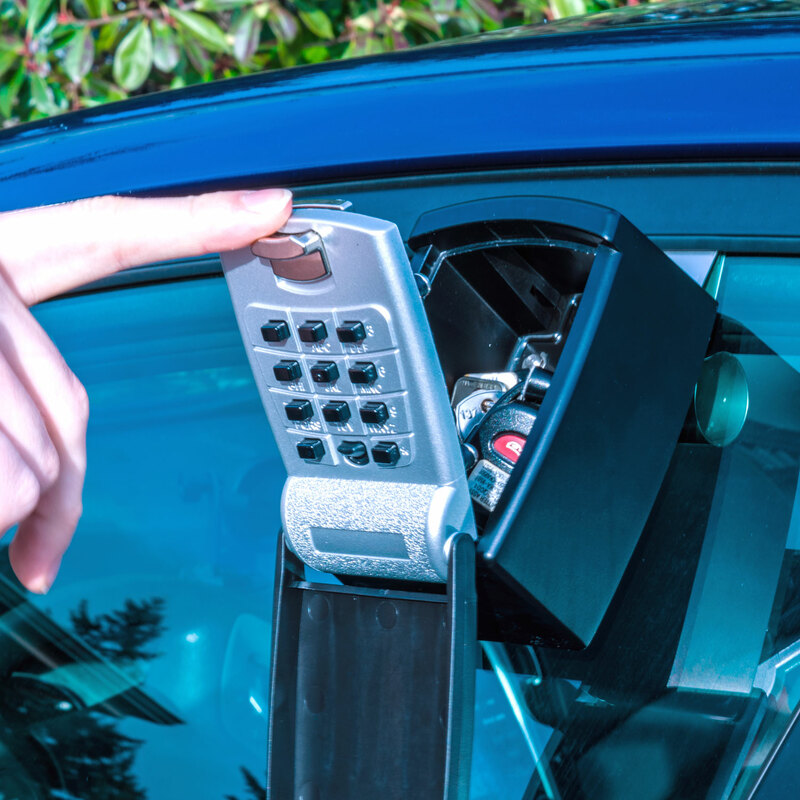 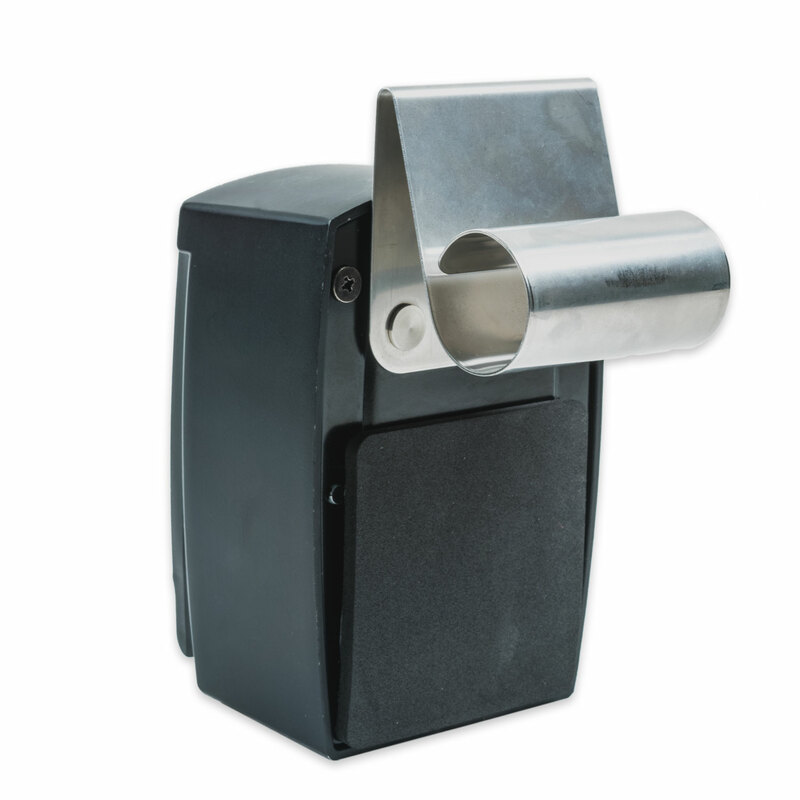 The KeyGuard Lock Boxes offer larger storage capacity with large with more room for keys, access cards and more. 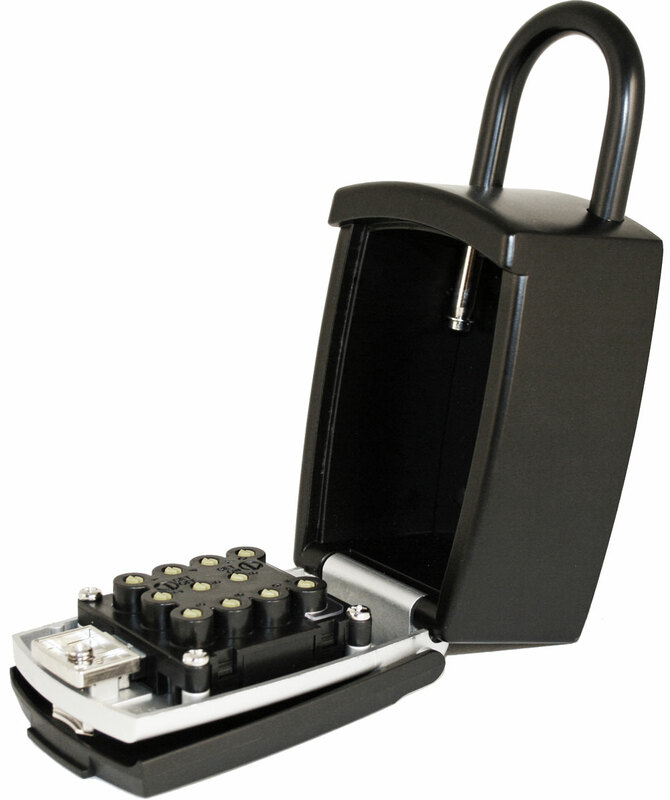 The KeyGuard durable punch buttons are larger and more friendly to use. 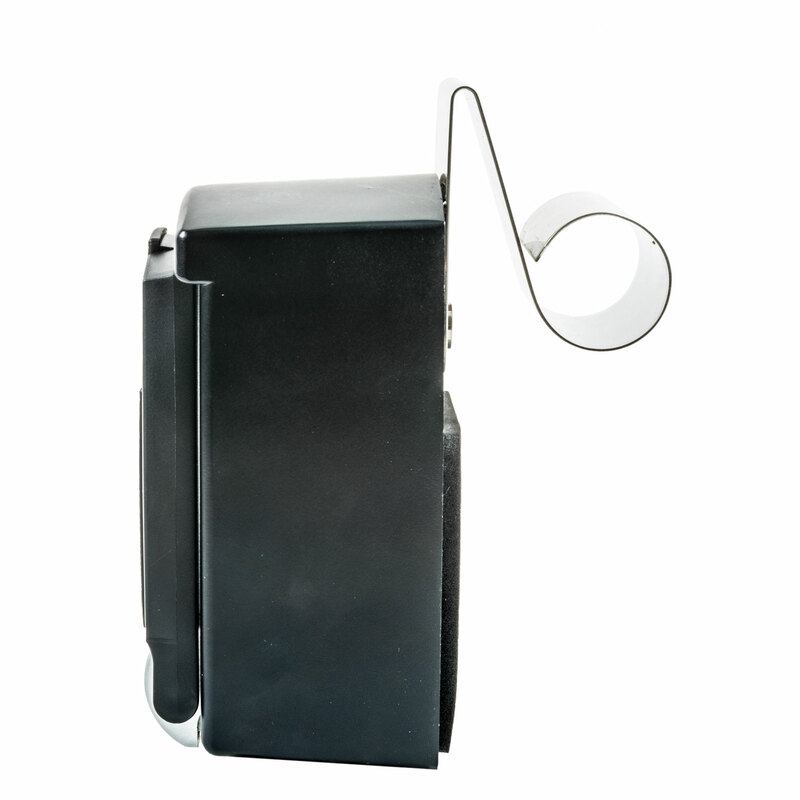 Patented phone style front allows use of letters or numbers (just like texting on the phone) for an easy-to-remember combination. 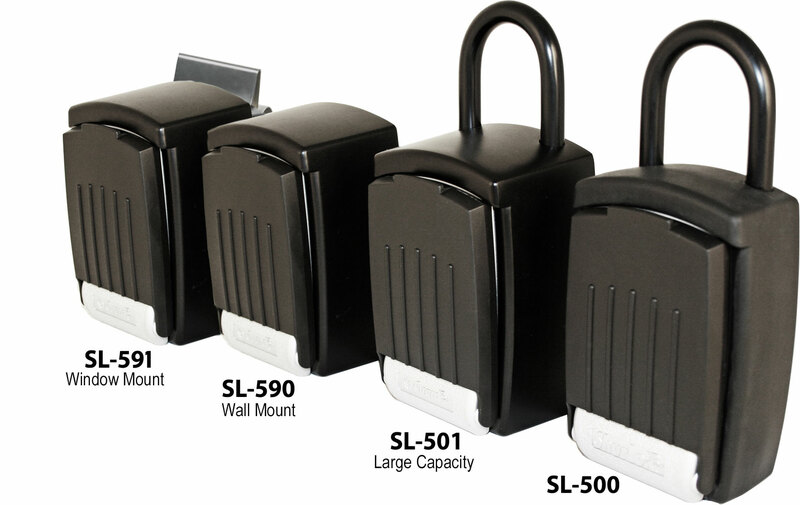 The KeyGuard lock box is available in two competitively prices models --shackle and wall mount lock boxes-- both with protective covers. 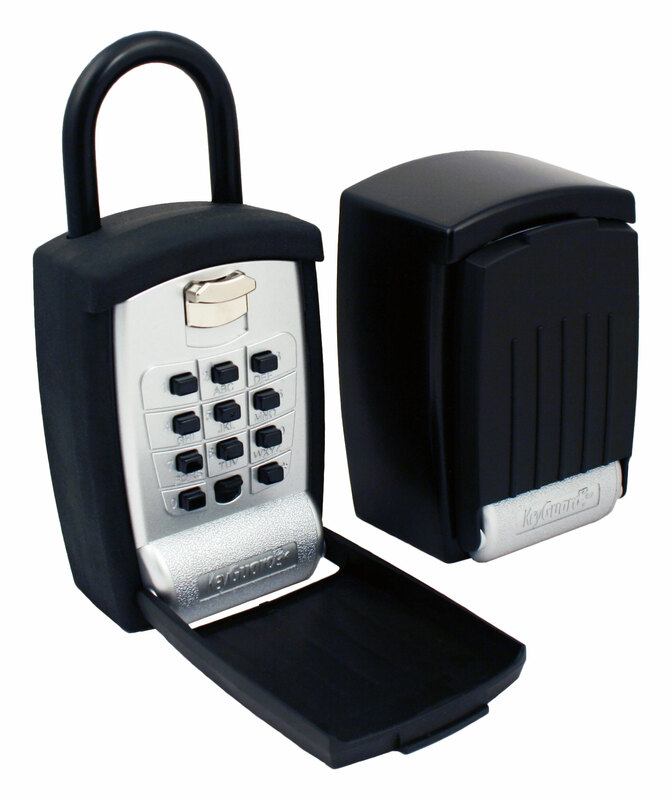 As an option, the shackle can be secured internal to the lock box with a small padlock to prevent the lock box from walking off once the face is opened.